Kamloops, BC – BC Athletics and the Kamloops Track & Field Club are extremely pleased to announce that Olympian, World Athletics Championship 800m Silver Medallist Gary Reed and Canadian Record Holder at 800m – 1:43.68, will assume the position of Interior Regional Athletics Coach – Middle Distance and Cross Country beginning September 2014. In addition to coaching athletes, Gary will be mentoring and be assisted by Ian Polos, a past member of the Kamloops TFC and a member of the Queen’s University Cross Country and Track Teams. 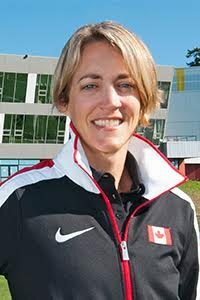 “I am very excited about this role and the opportunities it provides to connect with developing athletes, coaches, schools and clubs in both the Interior and Okanagan Regions of British Columbia”, said Gary. “There is so much talent in these Regions and throughout the Province and I am eager to provide my leadership, enthusiasm, experience and knowledge to athletes and coaches in the sport I love,” he concluded. “This is a significant step for Athletics in Kamloops, the Interior Region and for all of BC and Canada,” said Brian McCalder, BC Athletics Pres/CEO. “Gary represents the next generation of leaders in Athletics – those that will continue the ongoing development of Athletics in Canada and help shape Canada’s future World Championship, Commonwealth and Olympic athletes. We are without a doubt very fortunate to have Gary take on this position and look forward to working in partnership with the Kamloops Track and Field Club and supporting of both Gary and Ian,” McCalder concluded. The Regional Athletics Coach position is supported by the Government of British Columbia through viaSport and the Canadian Sport Institute Pacific.